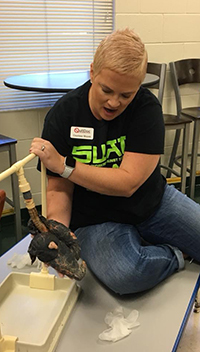 On October 27, 2017 Courtney Moyett, Tobacco Prevention Specialist for Okeechobee County, teamed up with members from the Okeechobee County Sheriff’s Office and Okeechobee Substance Abuse Coalition to bring a unified message to the Students at Okeechobee Achievement Academy (OAA) centered around Red Ribbon Week. Moyett explained to the students that you’re are the holder of your key, and only you can control what doors your key opens. She explained that it is important to start teaching the youth at a young age the dangers of tobacco use, and educate them on how tobacco companies are marketing to our youth, trying to lure them into becoming full time tobacco users. 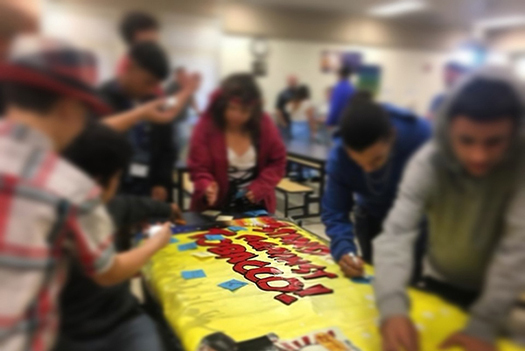 At the end of the presentation, Moyett asked the student to make a pledge to remain tobacco free by signing the pledge wall that will be displayed in the school during Red Ribbon Week. Moyett also spoke about the SWAT Club, their mission, and ways that students at OAA could join the club. 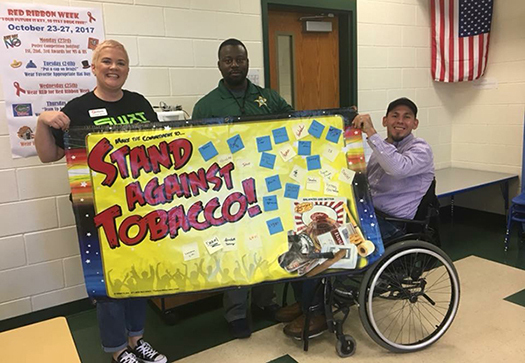 For more information on local youth tobacco prevention efforts, contact Courtney Moyett at: CMoyett@QuitDoc.com.